Boeing will develop its preliminary design for America’s next Intercontinental Ballistic Missile through a $349 million U.S. Air Force contract. 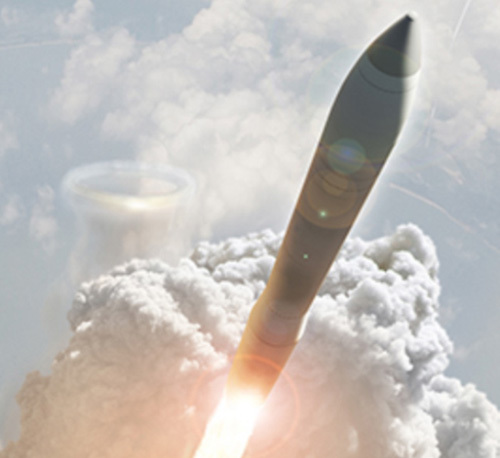 Boeing and Northrop Grumman each received risk-reduction contracts for the Ground Based Strategic Deterrent program, which will replace the Minuteman III ICBM. In 2020, the Air Force will choose one company to develop the new land-based element of America’s nuclear triad. Missiles launched from submarines and aircraft are the other elements of the triad. “As the Air Force prepares to replace the Minuteman III, we will once again answer the call by drawing on the best of Boeing to deliver the capability, flexibility and affordability the mission requires,” he added. Boeing’s work will be done in Huntsville, Alabama; Ogden, Utah; Heath, Ohio; and other locations. The Minuteman III replacement effort will include flight, command and control, and launch systems. The Engineering and Manufacturing Development phase of the program will be awarded to one company in 2020.